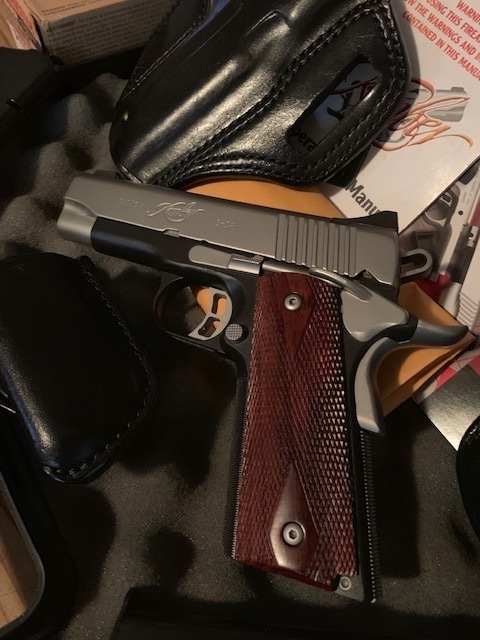 For sale...a complete concealed carry package based on the Kimber Pro CDP II. 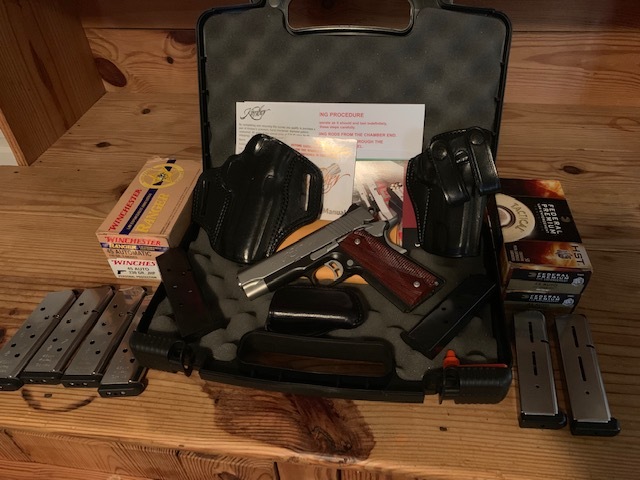 Package includes pistol, eight 8-round magazines, 2 holsters, 1 magazine carrier, and 183 rounds of ammunition. Only selling to complete an AR build. -Kimber carry case, recoil spring assembly tool, oil capsule, and all paperwork that came with the pistol. Would prefer face-to-face transaction, in the Raleigh-Fayetteville-Goldsboro, NC area; will drive a reasonable distance for the right deal. Will consider shipping to your FFL if you can't meet f2f. Buyer must present CCW or PPP, and driver's license. Bill of Sale will be provided. Let's talk. All I need is the pistol and mags. You can probably make more selling the rest on eBay or somesuch.